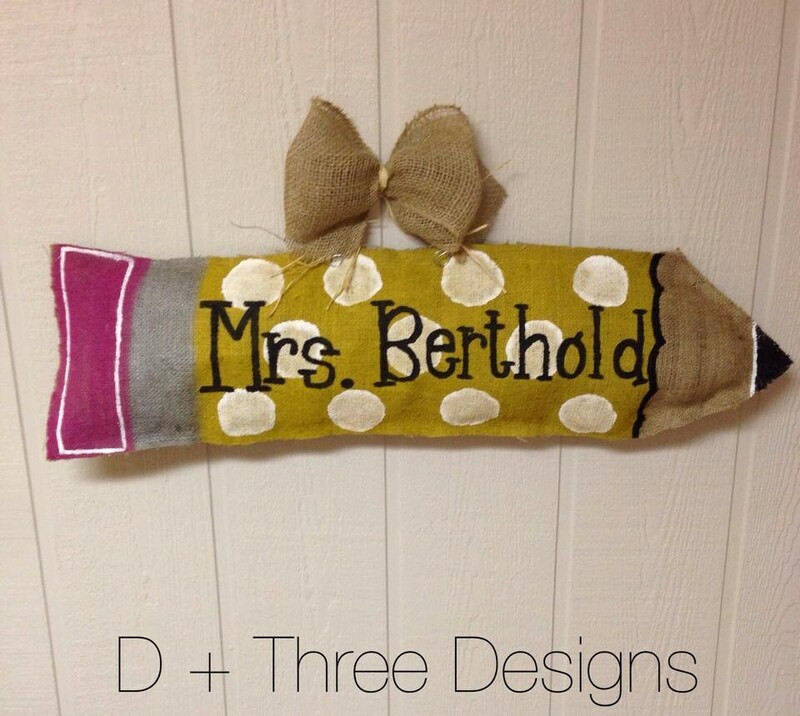 Burlap pencil door hangers decorate the classroom or make the perfect gift for any teacher! 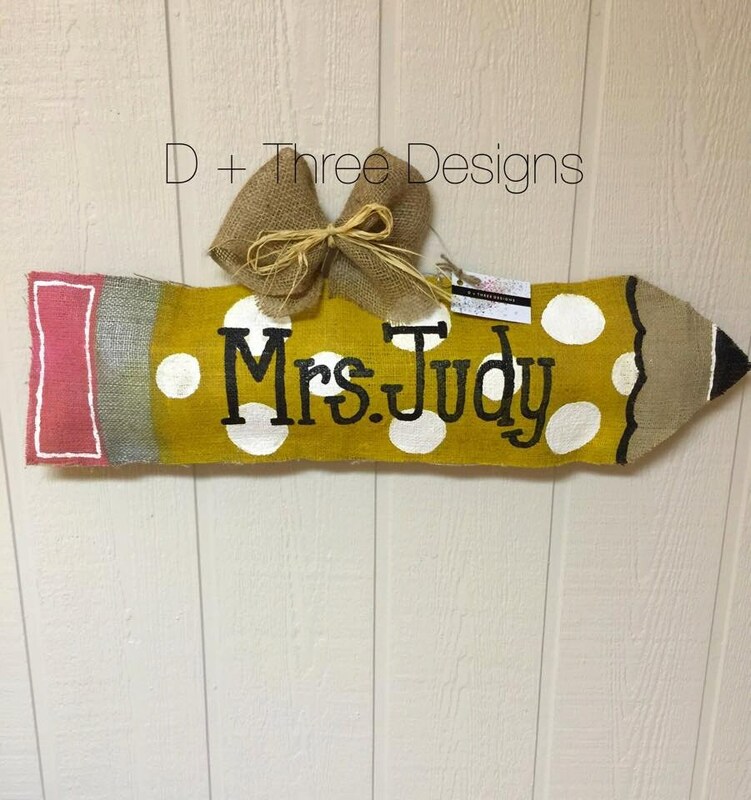 These pencils measure approximately 36" long by about 8" high. 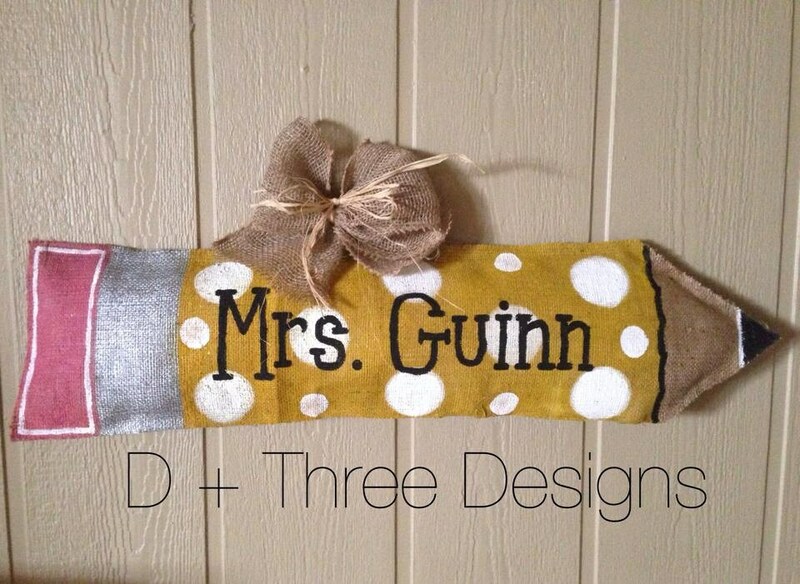 They come with a wire hanger and large burlap bow with raffia! 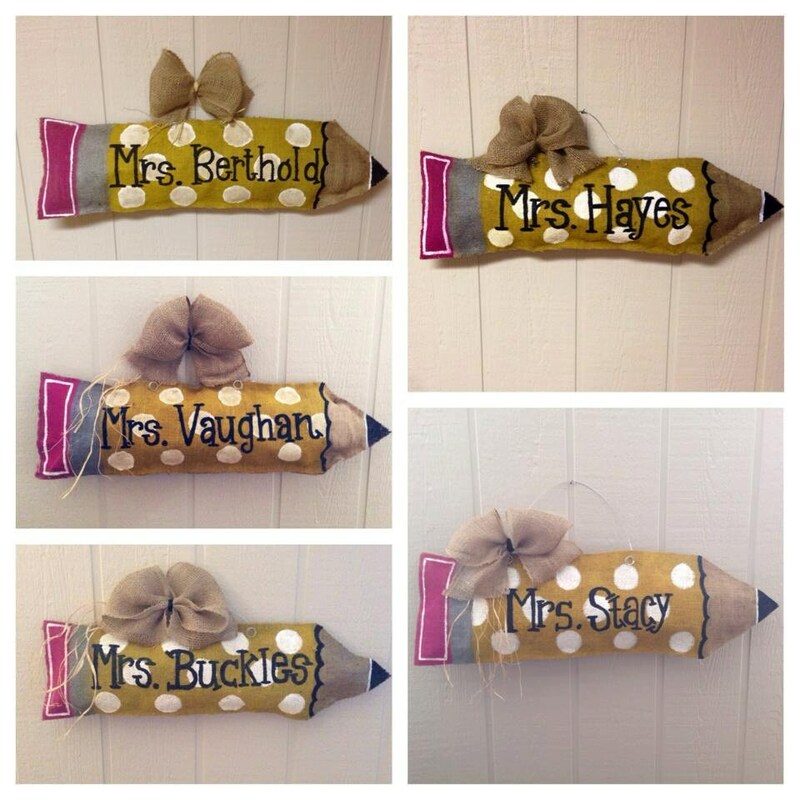 Remember to tell me how you want the name and include Ms. or Mrs. and the name just as you want it painted! 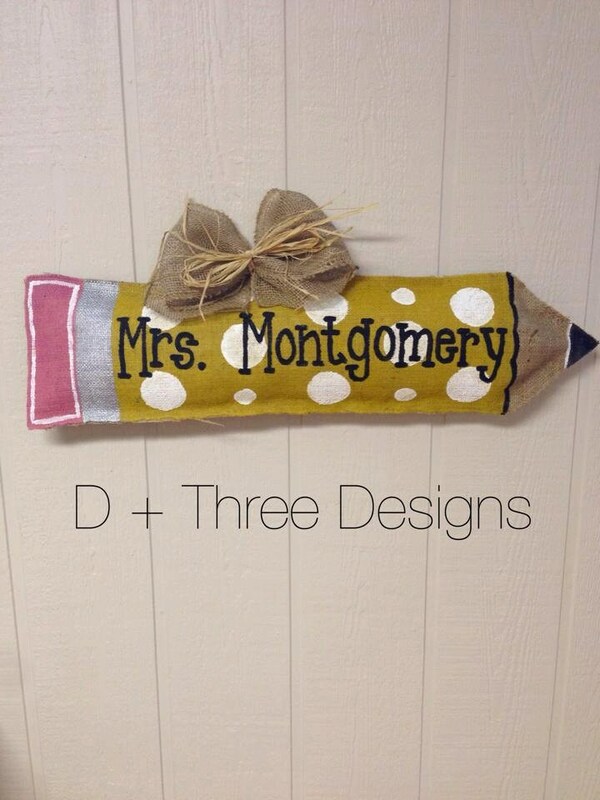 This is the perfect accent to the entrance to my classroom:) It was very well-made and durable. Shipping was right on track. Highly recommended!! !